Lola Nolan swears by her colorful costumes and equally colorful wigs. She has been wearing them for as long as she can remember, dreaming of becoming a big thing in fashion in the future. Her two cool fathers, Nathan and Andy, as well as her quirky best friend Lindsey, fully support her wild and outrageous style. Even her wannabe rock star boyfriend Max, who everyone thinks is too old for her, finds her irresistible. Life is all rosy and nice, until the Bell twins move back in to the house next door. Calliope Bell is still the same ice princess, on and off the rink. Her brother Cricket, the boy Lola has spent months and months trying to get over, has become even more good-looking and sophisticated, and he cannot seem to stay away from her. 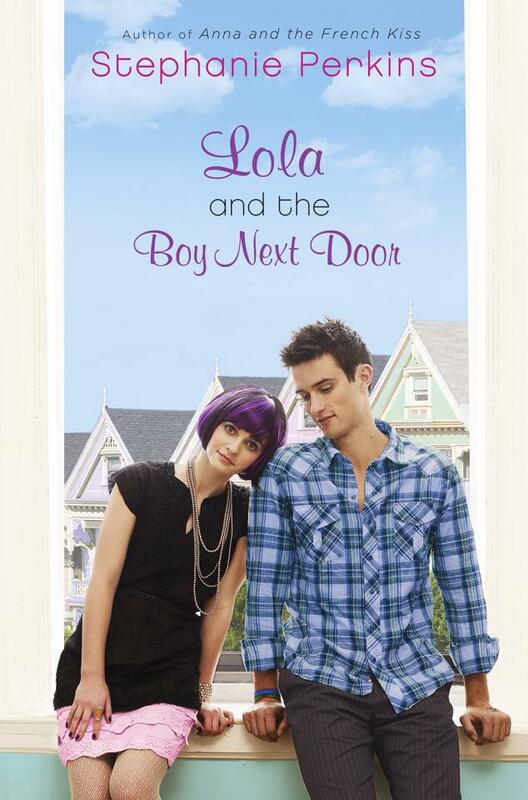 But why now when Lola has a boyfriend? She loves her boyfriend, right? Right? Before Cricket moved back, she can answer the question faster than saying ‘sequins’. Now that he’s here, she’s not very sure anymore. This book is just the right amount of cute and sweet, as well as the right amount of drama and conflict to stir up Lola’s teenage existence. It’s a fun, feel-good and romantic read just like Anna and the French Kiss. Speaking of Anna, she and Etienne get a lot of exposure in this book, too! So cool. Cannot wait for August for the third installment: Isla and the Happily Ever After.